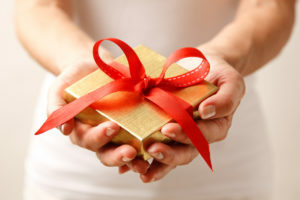 What do you gift a person who has everything? When it comes to some people in your life, a little creative gift giving might be in order for the holidays. Why not give your loved one the gift of inspired financial health? Here are some non-traditional holiday gift ideas that can help or inspire people to get in financial shape. When it comes to teaching kids about investing and the stock market, why not give them a little hands on experience? You can gift them a small sum of money that they can invest in a “fun” company of their choice–like Disney for example–that will peak their interest. Then you can show them the basics of investing and watching the stock market. If they are interested in the company and feel they have “ownership,” they will be more likely to take an interest in learning where their money is going. Another great gift for teens and young adults would be to start a retirement fund for them. You can give them a sum of money to start their fund or you can match whatever they put in to mimic an employers match. Whatever way you decide to do it, teach them retirement fund basics along the way, like how much they can contribute per year and what the different types of retirement accounts mean. You can never start too young! A great gift for your kids or grandkids is to start a 529 Savings Plan for their education. This gift may seem boring to the kid at first, but when they are older and don’t have to take out student loans, they will thank you. This not only shows that you support their education, but you can contribute a small amount to the plan each year as additional gifts. Books about personal finance topics are a great gift for those in college, just starting out on their own or young newlyweds. Books such as The Total Money Makeover by Dave Ramsey or The New Retirement by Jan Cullinane and Cathy Fitzgerald are just a couple to get started with. Check out our previous blog post about great books on financial topics. Giving those you care about gifts that help them financially is truly the gift that keeps on giving. So keep that in mind next time you are on the hunt for the perfect holiday gift for a loved one. When you work hard at your job everyday, it’s really nice to be appreciated with a pay raise. Any raise, even a small one, not only boosts your morale, but it helps you financially. If you are working to improve your finances, it’s best not to jump right in and spend all that extra money. 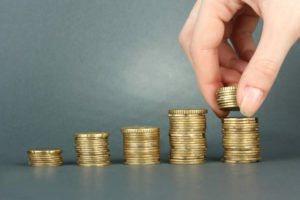 Instead, make that extra money work for your financial goals with one of the following tips. Before you run out and start upgrading your life and budget with your new paycheck, try to wait a few weeks to see how that paycheck is going to look with your new wages. Exactly how much extra per paycheck are you getting after taxes are deducted? 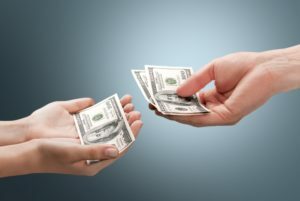 Once you have calculated the difference between your old and new paycheck amounts for a few weeks, then you can figure out how to allocate it the most effectively. With the higher paychecks you now receive, it’s time to recalculate your budget. Look over your current budget and find areas that could use the extra money. If your budget is great as it is, think of extra categories that you could add to help reach your financial goals faster. One of the easiest options for your raise can be to take everything extra over your normal paycheck amount and put it in savings. Even if it is only $20 extra per paycheck–automatically put it into your savings and pretend it’s not there. You will still be living off of the same amount you were previously, but now you have more to put into savings. Similarly to saving the extra, if you have any debt whatsoever, use that extra money every week to pay it off faster. Again, it may not be the most fun option, but you were already used to living off your “before-raise” amount, so you won’t even know it’s missing. Another option is to automatically put the extra money into your retirement or other investment accounts. Planning for your future is never a bad option, and like most of these tips, every little bit adds up. If you don’t feel like you make enough extra in each paycheck to invest, just save it all up and make one lump sum investment each month. As you can see, there are many options for your pay raise to be used effectively. When you really plan for the extra in your life, you can methodically reach your financial goals faster. Would you like to be better at saving and investing your money? For a lot of people, saving and investing is hard to accomplish, so they just don’t do it. 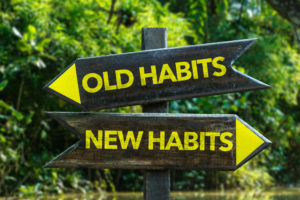 Yes, depending on your financial situation, it can be tough, but if you take time to build habits that revolve around your goals, you will reach them in no time. First and foremost, it is essential to have a clear-cut plan for your money. Of course, this includes a budget, but more importantly it requires specific goals for saving and investing. By figuring out how much you actually want to put in your savings accounts or invest in the stock market, it will give you an idea of how much you need to hold back each month for those specific areas. You can pick any amount you want, just make sure that it aligns with your goals. If you don’t have a whole lot of extra money to save or invest, that’s ok! Any amount–even small ones–will add up over time. It’s better to put something in your accounts than absolutely nothing. Just make sure you have a plan in place so that you can know where your money is going. Now that you have a secure plan in place for your money, the next habit to focus on is regularly contributing to your savings and investing accounts. You can do this the easy way by getting it automatically deducted from each paycheck and put into the appropriate place, or you can manually do it yourself. Whatever you decide, make sure you do it in regular intervals. Maybe you don’t want to do it every paycheck–that’s ok. Just pick a regular time period (every 2 weeks, once a month, etc.) and contribute your set amount every single time. You will be amazed at how fast your accounts can build up with just a little consistency. This habit isn’t as fun as watching your accounts grow in wealth, but it’s definitely necessary. To save and invest money, you have to live on less than you make. It just makes sense. If you spend everything (or more) that you make, you can’t possibly have money to save or invest. This is where budgeting rears its head again. Stick to your plan you made in the first habit we discussed, and cut out the things that are not pushing you toward your savings goals. If money is tight, then cut out the superfluous spending. Things like eating out regularly, going to the movies, getting your nails done and even cable are not necessary to live. Budget your living necessities (house, utilities, food, transportation, debt) first, budget your amounts to put into savings and investments second, and THEN use what’s leftover for the fun categories. If you make saving and investing a priority over the fun items and learn to live on less than you make, you will accumulate wealth easily. At times sticking to your budget and goals will be annoying. You will really want to use your money that was set aside to invest for an upcoming trip or something else that is fun, but if you want to watch your savings and investments grow, it’s essential to stick with the process. You will encounter hurdles along your way, but sticking with putting a little money–no matter how small–in your accounts each month will build your saving muscle and eventually turn into a habit that you do automatically without even thinking about it. Just like with any goal you set in life, stay consistent and stick with it, and you will see results. Developing financial discipline can be a hard process to go through. What many people don’t realize is that if you do a little a time, you are much more likely to see results than changing everything at once. If you practice these four actions regularly, they will become habits that you will have for a lifetime. Perhaps one of the easiest ways to invest is to put money in a retirement plan provided by your job. If your company provides you with a 401K or pension plan, invest! They take the money directly out of your paycheck, so after the first few times, you will get used to your new paycheck amount and won’t even miss it. If the potential for a smaller paycheck is a deterrent to you, just start small. Invest only 1% and you will barely even notice it’s gone. That 1% will get you in the retirement game just like a larger number. Sure, it will take longer to build up wealth, but it’s definitely better than not investing at all! Plus, once you get used to investing in retirement, or get in a better financial situation at home, you can raise your percentage. There really is an app for everything in today’s society, and investing is right up there with the best of them. There are certain apps like Acorns or Stash that will do the investing for you. You can choose how much to invest, as little as $5. You can also choose to connect your bank account and round-up your purchases to the nearest dollar. Say you spent $2.50 at the gas station, these apps will round that purchase up to $3.00 and take that extra $.50 and invest it. You can watch your accounts through the app and see how your investments are doing. It’s easy, but it does cost $1 per month up to $5,000. After your account reaches $5,000, you have to pay a percentage each month. Still, if you are looking for an easy and “fun” way to invest, an app like this may be for you. If you are wanting to go the more traditional route with investing, but don’t have the means to put a lot into it initially, you might want to check out low initial investment mutual funds. Mutual funds like these allows investors to put as little as $25 – $100 into an account and it diversifies it into a pot of securities all at one time. That way you don’t have all your eggs in one basket. This makes it ideal for beginners. However, it is very important to look at the performance track record of the mutual funds before deciding to invest. You don’t want to be part of one that loses money regularly. So investing, as you can see, doesn’t have to be a daunting task that takes a lot of initial investing money. You can start small today! Once you get in the habit of investing regularly, you will be more comfortable with the process and invest more over time. Investing your money is a great idea! However, when many people think about investing, the stock market and brokers, they can get overwhelmed fast. Some people may think it isn’t worth the hassle to learn about investing. If you are thinking about investing a little of your money, here are the answers to two commonly asked questions you may have before getting started. 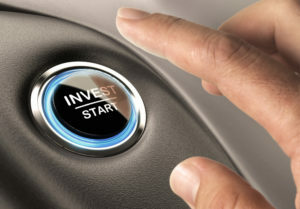 Many people simply want to know why they should even start investing. Wouldn’t it just be safer to put the money away in a savings account so you know you won’t lose it? Well, that could very likely be the case, but there are ways to make investing profitable and fun. Investing money can also help you reach your financial goals faster. Many people use their stocks for retirement, college tuition or just to build up a nest egg for the future. You can use them for whatever you want, but if you have a growing investment your goal will likely be met sooner than with a plain savings account. Another common question people ask before getting started on their investment journey is, “How much should I invest?” Well, that is totally up to you. You can invest as much or as little as you feel is needed, however experts recommend that you invest at least 10% of your income. This includes any money that is taken out if you have a 401K with your job. You may be thinking that you don’t have 10% of your income to spare. If that’s the case, then start with what you can spare. Make putting money towards your investments a habit. You can even automate your payments to your funds with each paycheck if you want. That way, you never even see the money–it just goes straight into your investment. If you regularly make it a habit to invest, you will always be making your future a priority. Small consistent contributions over time can turn into large investment amounts. You don’t have to do it all at once. The whole investing game involves a learning curve, so it is important to take the time to research everything before you just dive on in. However, when you learn the basics you will be amazed at how you can put your money to work for you through investing. *Statistics and info from www.fool.com.